Home » Uncategorized » Will the Economically Weaker Section (EWS) quota affect selection procedure in UPSC? Will the Economically Weaker Section (EWS) quota affect selection procedure in UPSC? The Union Public Service Commission (UPSC) will soon be issuing the notification for recruitment of officers in the All India Services and various Central Services. From around 900 posts for several civil services, around 180 posts are reserved for the Indian Administrative Services (IAS). The point to be noted here is that this year the Notification for Civil Services will arrive after the Parliament has passed the 10% quota in the government services for the Economically Weaker Section (EWS) of the General Category. The UPSC may incorporate this reservation in the upcoming notification. 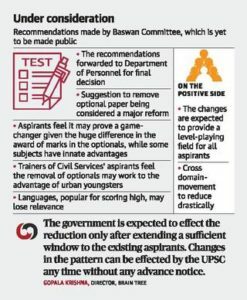 Once this quota comes into effect UPSC aspirants from the general category (EWS) will receive similar relaxations as given to OBC category (in terms of age relaxation, number of attempts and cut-off marks). This means that the EWS of general category may require fewer marks than the general category at every stage of the examination (prelims, mains and interview) to qualify it. Also from the current 180 posts reserved for Indian Administrative Services (IAS), 18 positions (10% of 180 posts) will be reserved for the EWS category of General Category for the post of IAS officers. So now for general category (who comes in 40%) IAS rank should fall between 60-70, on the other hand EWS should get now IAS at lower rank also. The main reason behind commissioning the report was the shortfall of IAS officers. There are 4,926 IAS officers, which is 1470 less than the authorized strength of 6,396. As against the authorized strength of 4,802 officers, only 3894 IPS officers employed with the central government. The Baswaan Committee report recommended that the number of IAS officers recruited every year should be to the tune of 180. With 180 IAS officers recruited every year, the backlog of 569 vacancies can be reduced by 443 in the year 2020. Another important point here is that the 10% reservation of these posts specifically belongs to the EWS of the General Category. This means that the reserved post can only be given to the EWS candidates. SC/ ST/ OBC candidates cannot claim these reserved posts. The same reservation will be applied to the number of positions of IPS, IFoS, IFS and Central Civil Services. It will change the dynamics of the UPSC Civil Services Exam because most of the candidates will fall in this new EWS reservation category and the competition in this category will be vicious. All these relaxations for EWS category mentioned above will be subject to approval of Supreme Court. As the EWS quota crosses the limit for reservation (50%) prescribed by Supreme Court, it will be reviewed first by the Supreme Court. If the Supreme Court quash this bill and declare it as null and void then there will not be any changes in UPSC recruitment procedure.